Technologically forward consumers often order their coffee ahead of time and pick it up at the counter, spending less time in the shop than it took you to read this sentence. Well, Dealertrack wants to help dealerships and finance companies serve those consumers who want to purchase an SUV nearly as fast as that latte. On Monday, Dealertrack announced a new F&I software platform dubbed Dealertrack uniFI. 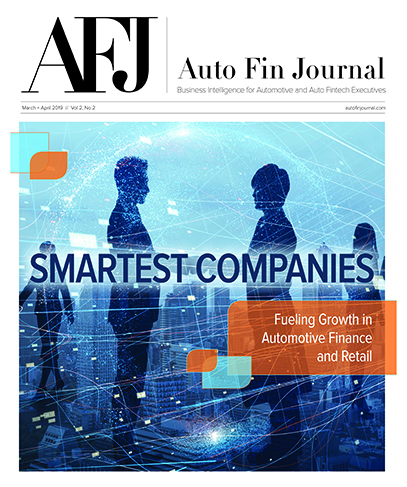 Auto Fin Journal connected with Cheryl Miller, vice president and general manager of Dealertrack F&I Solutions, in advance of Monday’s official launch to discuss how the vehicle-buying process has changed since Dealertrack came onto the scene. “Dealertrack was the original fintech. We created the electronic path between the dealers and the lenders,” Miller said. As the consumer needs have evolved and the dealer needs have evolved, that’s taken it to a whole new level of expectations in the market. If you think about the consumer thought process of if I can go on any website for any retailer and buy something, why hasn’t buying a car become much easier? “When we started looking at the workflows of the different systems, and Cox Automotive started coming together with all of the solutions it can bring to the market,” she continued, “we started down a journey about how do we look at this workflow, and how do we make it more efficient? “There are three key players in the transaction, the consumer, the dealer and the lender. We want to make a much better experience for all through the pipeline. The consumer has expectations, and the dealer wants to satisfy those expectations,” Miller went on to say. The company highlighted the new platform is designed to streamline the vehicle-buying process for consumers, dealers, finance companies and warranty providers by offering a single platform that seamlessly can connect the entire deal process with open integration. Dealertrack uniFI addresses a major pain point for consumers, dealers and lenders. Less than half of consumers are satisfied with the three hours it takes on average to finalize their vehicle purchase at a dealership, according to Cox Automotive’s 2018 Car Buyer Journey Study. Dealers recognize the issue with 69 percent concerned about the need to deliver a better customer experience and increase the efficiency of their sales process, according to 2018 Cox Automotive Dealer Communication & Operations Study. On the finance-company side, Dealertrack acknowledged delays often occur around multiple systems requiring rekeying of data and the error rate on paper contracts. This final stage can be complicated with different systems handling different parts of the process, such as credit checks, contract applications, taxes, titling and trade-in values. Dealership staff navigate on average more than six different systems to finalize a sale, a Cox Automotive poll showed. Dealertrack uniFI can bring together these different systems to create a seamless F&I solution. Instead of switching between multiple systems and re-entering data each time, dealership staff can use Dealertrack uniFI to run credit checks, submit credit applications, structure deals and calculate accurate payments, add aftermarket products, and speed trade-in payoff and title release. Dealertrack highlighted this single platform also can generates compliance-specific documents that meet federal laws and regulations and creates a check-list to track actions — all in one digital deal jacket. Dealertrack uniFI connects both online and in-store interactions, making it easier to seamlessly track the entire car-buying experience for each customer. “After our upgrade to the new Dealertrack uniFI platform, I’ve experienced a level of efficiency that gives me both speed and accuracy and allows me to work more deals for more customers in a shorter period of time,” said Richard Cirami, finance director of North Shore Honda in Glen Head, N.Y., an early customer of Dealertrack uniFI. Dealertrack uniFI can streamline the process by creating a single system built as an open platform to make it easier to connect various systems needed to handle different parts of a car deal. The open platform can allow Dealertrack uniFI to work with other Cox Automotive solutions, solutions from other providers as well as with Dealertrack’s network of more than 1,600 auto finance institutions. 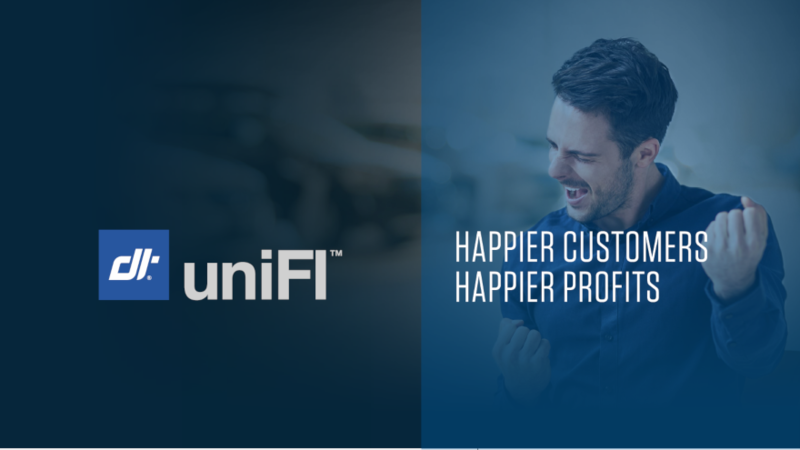 “F&I is the backbone of any dealership, and Dealertrack uniFI has made a significant impact on our business by making our F&I process faster from start to finish,” said Joe Speaker, sales manager for Neuwirth Cars On Market in Wilmington, N.C., who’s also an early customer of Dealertrack uniFI. “I now utilize more lenders and the faster workflow has made me a more valuable employee. The quicker turnaround time in F&I also means happier customers and better CSI scores,” Speaker continued. Miller emphasized to Auto Fin Journal that dealerships that adopt this new platform quickly can enjoy similar results to North Shore Honda and Neuwirth Cars On Market. “The car-buying experience should be an exciting time for consumers, but it’s often lengthened by a set of disjointed technologies required to finalize the sale,” Miller said. “Dealertrack uniFI creates a single technology platform to simplify the process. Dealership sales staff spend less time logging into and typing data into various systems, enabling customers to enjoy their new vehicles more quickly and freeing dealers to focus more attention on serving customers.